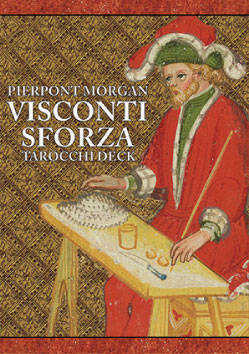 Reproduction of the Pierpont Morgan Visconti-Sforzatarocchi deck is an important event for Tarot collectors and researchers of art history. 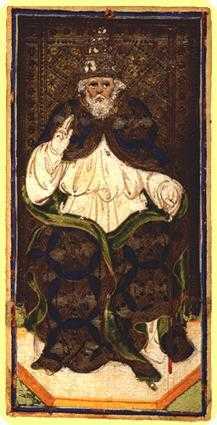 These rare cards have been reproduced in authentic color tones from the extant Visconti-Sforza tarocchi deck dating from mid-fifteenth century Milan. Italy holds the honor of producing several of the earliest known hand-painted playing card packs that contain the 22 mystical and allegorical trump cards called trionfi. The incomplete extant packs include 74 cards from the Visconti-Sforza tarocchi pack, 67 cards from the Cary-Yale Visconti tarocchi pack, and 48 cards from the Brera Gallery or Brambilla Visconti pack. 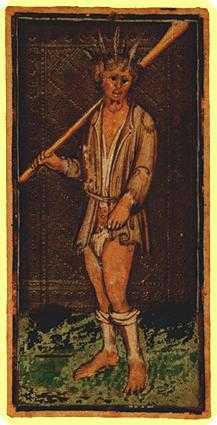 artists in Ferrara and Florence also hand painted fifteenth century tarocchi cards. The connection of cards to the Visconti and Sforza families of fifteenth century Milan is based upon the heraldic devices and mottos appearing on the cards. 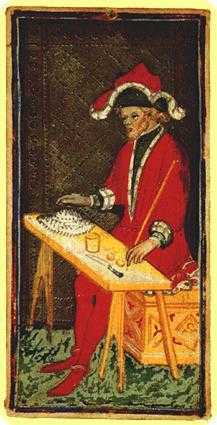 the term tarocchi was used in Italy in the early sixteenth century, and quite probably in the late fifteenth century, to describe the complete 78 card deck consisting of 22 trionfi, or trump cards, and 56 suit cards. 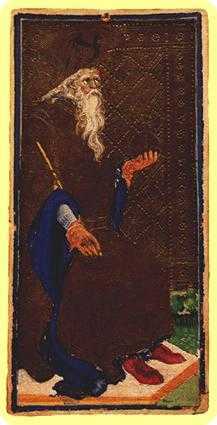 The words tarocchi and tarocco are often used interchangeably although tarocchi is actually the plural of tarocco. The French word Tarot, a derivative of tarocchi, has come into widespread use in the English language. The term trumps is derived from the Latin triumphi. Arcanais a Latin word meaning mysterious or secret; the Italian word arcano, derived from the Latin, has the same meaning. The 22 trump cards are known today by Tarot deck collectors as the major arcana or Greater arcana cards, and each card depicts a symbolic, allegorical picture. 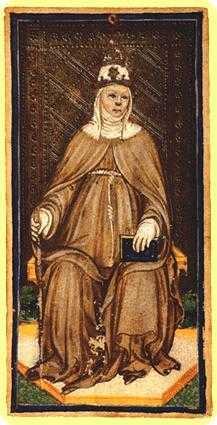 The trump cards also are known as atouts in French and tarocchi in Italian. 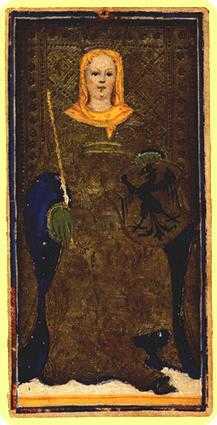 The 56 suit cards, also known as the minor arcana or Lesser arcana cards, are divided into four suits of Swords, Wands (Batons, Staves, Scepters, or Clubs), Cups (Chalices), and Coins (Pentacles). Each suite comprises 14 cards consisting of King, Queen, Knight, Page, plus Pip cards numbered 10 to 1.